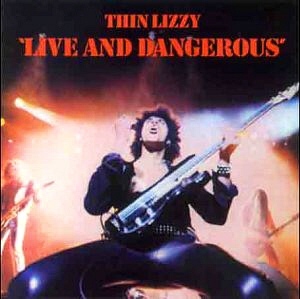 Referred to by many as one of the greatest live albums of all time, "Live and Dangerous" fully captures what it must have been like to be at a Lizzy gig in their heyday. And although it has been quite obviously dolled up in the studio a bit, this album and its renditions of some Lizzy classics are simply great. A particularly fantastic part of the album is "Cowboy Song" and how it seamlessly blends into "The Boys are Back in Town". As you can probably tell, I love this album and think that you most likely will as well.